With just a little less than a year to go before the massive release of Star Wars: The Force Awakens, anticipation couldn’t be higher, and neither could the number of fan theories currently making up roughly 115% of Internet chatter. But just in case you thought all the stuff you were reading about was completely legit and based on good info, actor Oscar Isaac is here to wash all that away. I can’t speak for the cast and crew, I can just speak for myself, but for me I thought, ‘Don’t you want to wait so you can get the real thing?’ But it creates excitement for it. I don’t think these little leaks necessarily ruined watching the trailer. And also, the [plot theories] that get formulated based on these things—they couldn’t be more far off-base. 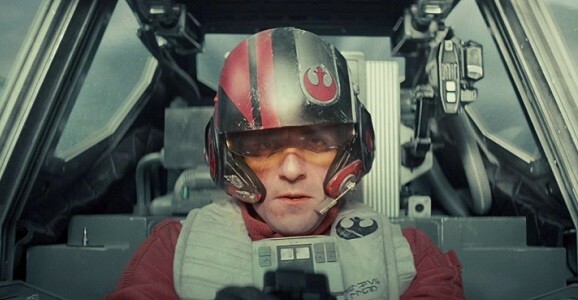 Of course, one has to assume Isaac, who plays Poe Dameron in the film, didn’t actually spend a month online reading all of the rumors that have circulated with every new piece of info that comes out about the film. But there have been quite a few prominent ones that have attracted national attention, such as the supposed opening involving Luke Skywalker’s severed hand floating down from space, or the ones that say the villains will be Jedi hunters. Or the ones that say Simon Pegg will play Darth Vader’s other son, Lance. (I may have made that last one up.) So it means something that he’s shutting it all down, although it’s probably in the actors’ contracts to dispute and dismiss any and all rumors. It was hard to believe that I was actually sitting in there and doing that. And it’s physical. You have to kind of get in touch with that child again that had a little X-Wing and would fly around his room making crazy sounds, you had to tap into that spirit again and that was a lot fun. There was a lot of practical effects. A lot of the stuff they actually made. There wasn’t a lot of green screen. We know that the Millennium Falcon is a practical prop, as was that cute little bot from the trailer. Considering how CGI-friendly Abrams has been in the past, it’ll be interesting to see him separate himself from George Lucas with a more hands-on approach. Just don’t start any rumors about it. Star Wars: The Force Awakens hits theaters on December 18, 2015, just in time for that jolly bearded rumor and his reindeer. Lance Vader, isn’t he in charge of catering on the Death Star? No, he had another daughter, Ella Vader.